Francis Patrick Buckley was born on 25 September 1894 at Dubbo, NSW, son of Timothy Buckley, a wool-classer, and his wife Amelia. He married Ethel Mary Dunn on 7 May 1919 and had three daughters. He died on 3 April 1971 at his Kirribilli residence. He was buried at the Northern Suburbs Lawn Cemetery from St Francis Xavier’s Roman Catholic Church at Lavender Bay. Francis Patrick Buckley was educated at Cobar convent school and apprenticed as a hairdresser to MA Davidson in Cobar. In 1911, his family moved to Sydney where he worked as a barber and hairdresser. He was an active member of the Hairdressers and Wigmakers Employees Union, becoming vice president in 1919 and president in 1920. Later he was appointed a life member. He was an organiser from 1922 until 1942, becoming secretary from 1942 until 1953. He was a foundation member of Marrickville Businessmen’s Club and a keen sportsman and racegoer. Buckley was a member of the Marrickville Hospital Board. He was also a member of Westminster Rotary Club from 1954 until 1965, serving as president for two years. He was actively involved in charitable work for the Sacred Heart Hospice, Darlinghurst. Buckley was a Member of the NSW Legislative Council from 23 April 1946 to 30 June 1954. He was Assistant Minister, 1952-53, member of the Executive Council 1952, and Secretary for Mines from 1953 to 1954. He was appointed Agent General for New South Wales in London on 30 June 1954, serving until 1965. Buckley was awarded a CBE in June 1959. 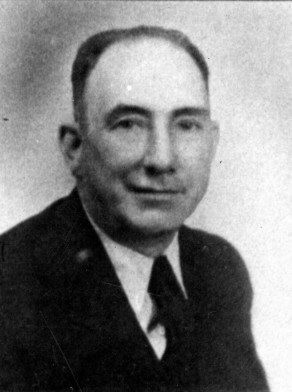 Francis Buckley was Alderman of Marrickville from 1925 until 1948, and Mayor from 1942 until 1943. He was elected to Sydney Council as Alderman for Camperdown from 2 December 1950 until 17 April 1953, when he resigned. He was a member of the Works Committee, 1951-53 and the Health and Recreation Committee, 1951-53. He was President of the NSW Branch of the Australian Labor Party, 1951-52.